Canizaro Cawthon Davis worked with Duckworth Realty to redevelop a site adjacent to Jackson’s City Hall and Hind County’s Courthouse. These buildings form the edges of an urban square. 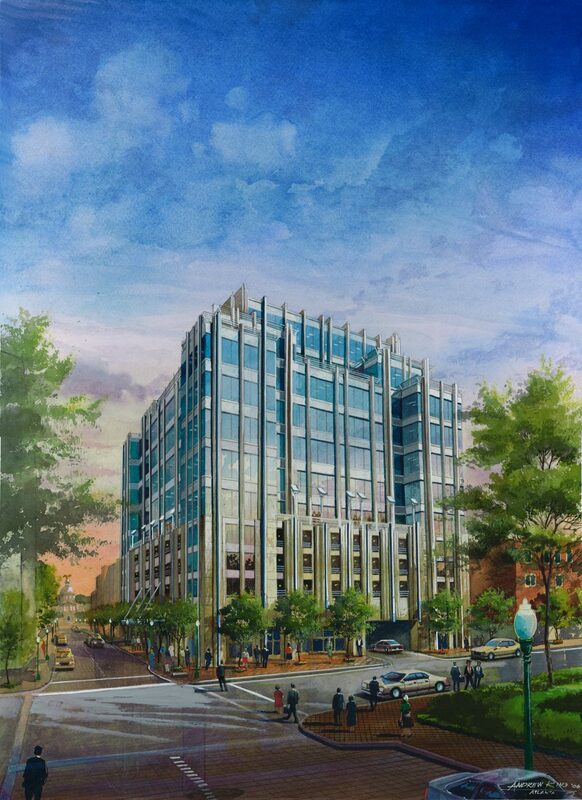 Congressional Place provides class A office space and parking while reinforcing the existing urban environment. An efficient plan allows 5 levels of parking with 97,000 SF of class A office space above. The corners of the building which face the square are offset, which increases the number of prime offices. Retail space occupies the ground floor and gives life to the street. The architecture is influenced by the historic courthouse opposite the square, combining Art Moderne and contemporary motifs.